After returning from the Japa Retreat enthused and divinely touched by sharing such potent spiritual practices in uplifting company my wife and I also received another type of mercy: the flu that some devotee inadvertently gave us. Sickness, although never sought after, often teaches us about the dual nature of the material world (happiness and distress) and its temporary nature. If we are a “spiritual possibility thinker”, then every situation can be favorable, helpful, and instructive for our holy aspirations to make progress in “shuddha Bhakti” or pure devotion. What follows are some of my thoughts from being sick and having reduced capacities for living. It is effortless for Krishna to maintain and support unlimited planets, suns and solar systems. He doesn’t worry about it, as it is just an extension of himself in a separated nature—simultaneously and inconceivably one and different from him. Unknown to most people there is a special purpose in the existence of the material world. Ultimately it is to give souls a chance to turn toward God, rather than trying to be false or imitation lords by trying to control, measure and use the resources of the world for our personal or extended selfishness. The “stuff” that holds matter together in its various forms and sizes—from the subatomic to the heavenly bodies—are also Krishna’s energy. Our bodies are tiny universes with facilities offered by Krishna’s grace according to our work (karma) and pious or impious actions. These facilities can be withdrawn at any moment, with or without our notification. We can go through every function of our body and mind, such as our heartbeat, breath, digestion, nerves, skeletal structure, muscles, and the ability to think, reason, remember, speak, lift, bend, walk, and the energy to do all these things. We are always dependent on Krishna for every aspect of our existence. In one sense there is only Krishna and his energies, although we, the soul, are conscious individual sparks of one of his energies, the jiva-tattva (marginal energy). Though we usually mindlessly go about our lives, any facility we depend on can be lost. Therefore, as a general observance, we can practice today being conscious of the many gifts we have just to function in our everyday life. Even a simple thing like getting out of bed, walking across a room or answering the call of nature is a gift from God, and not due to our own prowess. Prabhupada has described that part of Krishna consciousness is becoming conscious, so we can begin this by thinking about our dependence on the facilities of our body and mind which are sustained by Krishna’s mercy. Then we can also think about the bigger picture that Krishna owns and controls everything and is meant to be offered our life’s energy (since we are a tiny part of him as our finger is part of the whole body). Although we are meant to please him, this is how we become pleased. When we offer our life and resources to him, we are benefited. Since he already “owns” everything (or is everything through his energy), he doesn’t require anything from us. However, we become entangled by wanting to be independent of his Universal plan and claiming his possessions our own. Then we are responsible for our effect on the environment and other creatures we disturb or kill. Krishna is after all the center, or the root that when watered gives life to the tree of existence; he is the cosmic stomach that when provided food nourishes everyone and everything. Truly Krishna is our dear-most friend and well-wisher, the soul of our soul, the heart of our heart, the love of our life, and the consciousness of our consciousness. Although he is the supreme master he is also the greatest servant of existence by maintaining all there is and working for everyone’s good. 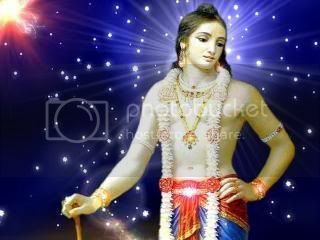 On the highest level he becomes subservient to the love of his devotees. He would prefer to be our friend or lover than worshiped as God! The science of Krishna consciousness or suddha bhakti means to be educated about these truths and to realize them practically. Though our false egos are by nature very inflated with thoughts of our own importance and talents, our position is infinitesimal. Our significance lies not in how proficient we are at functioning in the body compared to others, or in how much we can accumulate, but is due to the fact that we are part of the Supreme Great, the Lord and Sustainer of the Universe. When we understand and act as a tiny unit of dedicating conscious energy meant to cooperate with and fulfill the Supreme will, then we will have realized our significance. We don’t have to do anything materially to “be somebody” because we already are somebody spiritually—a lover and servant of Krishna. 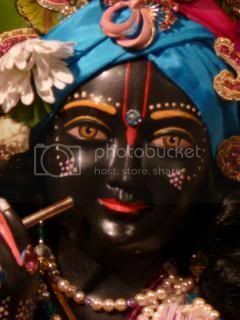 Such a person Krishna considers to be like his very self. As much as we try, birth after birth, or body after body, we cannot compete with him, the infinitely Great. And if you can beat him, then join him! Aligned with his purpose, his greatness shines through us. *	The variety of life is part of his Supreme Diversity and Unity. *	The world and all souls are inconceivably, simultaneously one and different from Krishna. *	Whatever power within me or any Divinity comes from him. *	Whatever credit is given to me is really for Krishna only. *	If healing or good manifests it’s from him alone. *	For a devotee of Krishna everything furthers their highest spiritual good. *	On the mystical level beyond dogma or fanaticism there is only Unity. *	There is no need to convert, or defeat others for personal reasons; we only share our love and reasoning for Krishna and the devotional path. *	All praise, glory, credit, and honor goes to them and their pure devotees. *	I aspire to be but an instrument for Krishna to play his divine life affirming music. Submitted by Karnamrita on Thu, 2010-11-11 15:32. As Im just getting over a rather sever bout of flu - and feeling somewhat down about it - this article really struck a chord with me ( Krishna's perfect arrangement though ). A while ago a fellow devotee told me a saying that went '' The path of one whom Krishna favors the most is paved with thorns''. It stuck in my mind for a long time before I realll began to understand what it meant. Im now starting to realise that every adversity, be it sickness, financial problems, personal or family difficulty, anything is a chance to strengthan our faith and to gain a deeper insight into Krishna's teachings. 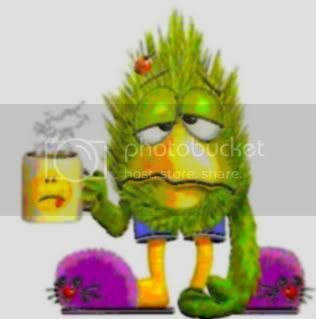 My bout of flu came after several weeks of stress at work, of playing keep up with the Karmis, trying to blend in but be differant at the same time. My spirit was suffering and eventually my body gave it voice. So I was in bed, too ill to read or walk, or even eat at times. 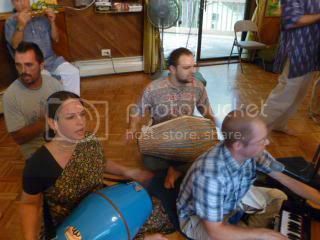 I could barely even sit up to chant, and then it struck me .. all i COULD do was chant the holy name. My body was under attack from some unseen organism, and there was nothing i could do to stop its course. Everything was in Krishna's hands, beyond my control, except for my thoughts and my tounge. So one bead at a time I chanted . Kimimela, thanks for sharing your realizations with us. Yes, illiness can be a great teacher if we are open to learn. We have to learn to see everything in relationship to Krishna, and meant for our good--even if initially we aren't sure what the gift is. By making this our focus we will eventually be able to find the gem even in what appears to be misfortune. We will someday come to the understanding that there are no problems, only service opportunities. Be blessed and share your good fortune with others.